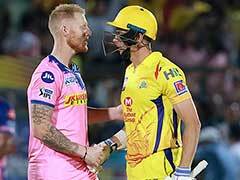 IPL 2019, Rajasthan Royals vs Chennai Super Kings Highlights: Rajasthan Royals scored 151/7 in 20 overs. 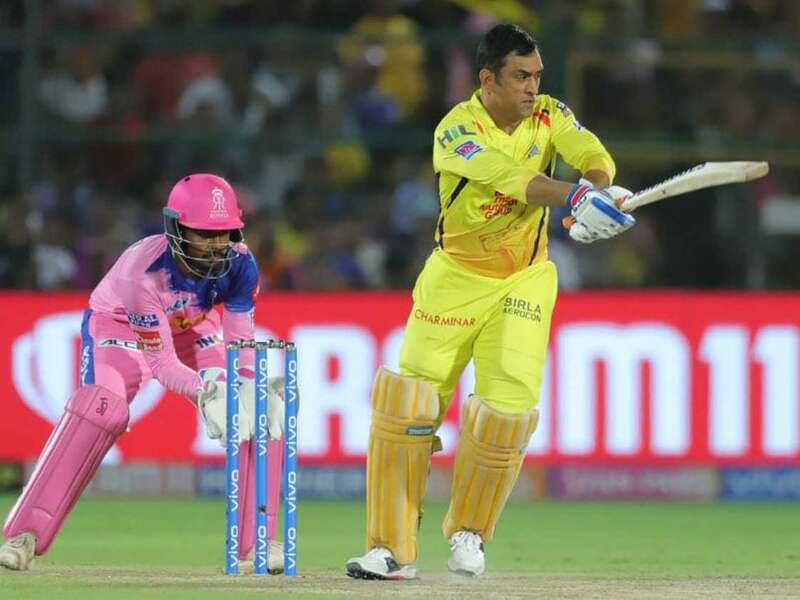 IPL 2019 Highlights Score Updates Between Rajasthan Royals vs Chennai Super Kings, straight from Sawai Mansingh Stadium, Jaipur. This brings an end to a thrilling contest between Rajasthan Royals and Chennai Super Kings in Jaipur. Thank you for joining us for the live coverage of match 25 of the Indian Premier League. MS Dhoni for his 58 off 43 balls is adjudged the Man of the Match. Santner smacks the ball over long-on. Chennai Super Kings win by 4 wickets. Stokes bowls one outside off. 4 from the final ball. 6 from 2 now. The umpire initially calls for a no ball but then recedes. A furious Dhoni charges into the field. 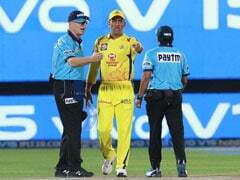 He is arguing that how come the umpire recede the no ball after signalling for it. Mitchell Santner is the new batsman at the crease. 8 from 3 needed now. Stokes strikes! It's bulls eye! Dhoni is clean bowled. He departs for 58. Dhoni hits it straight down the ground. Despite limping, he runs for the 2nd. Stokes has over-stepped. Jadeja takes a single. Dhoni to face the FREE HIT delivery. Jadeja will be on strike. Ben Stokes will be bowling the final over. CSK need 18 runs to win off the final over. Dhoni is down and need some attention from the physiotherapist. Dhoni takes 2 runs and gets his 22nd IPL half-century. CSK are 122/5. They need 30 runs to win from 12 balls. Stokes strikes! Rayudu departs for a well-made 57. He fails to clear the ball over deep mid-wicket region as Shreyas Gopal takes a nice catch. CSK are 119/5 in 17.4 overs. Stokes bowls one down the leg-side. Dhoni gets a boundary in the backward square leg region. 35 needed from 16 balls. Dot ball to start the over. 39 from 17 now. Ben Stokes will be bowling the 18th over. CSK are 113/4. They need 39 runs to win from 18 balls at 13 runs per over. Archer bowls a nasty bouncer that hit Dhoni's helmet. He was taken aback by that bouncer. 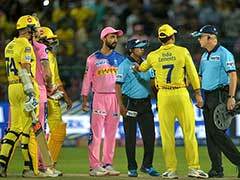 CSK need 46 runs to win from 24 runs. The pair of Dhoni and Rayudu have added an unbeaten 82 runs for the 5th wicket. CSK are 101/4. They need 50 off 30 balls to win. Rayudu smacks the ball towards deep square leg. In doing so, he brings up his 18th IPL half-century. CSK also breach the 100-run mark. Rayudu hits his 3rd maximum! He clears the ball over long-on. Jaydev Unadkat comes in to bowl the 15th over. So far, this has to be the catch of the tournament! CSK are 88/4. They need 64 runs to win in 36 balls. Rayudu goes inside-out over deep extra cover. He hits his 2nd maximum. Ben Stokes has been introduced into the attack by Rahane. Dhoni hits his 3rd maximum! He dispatches the ball over deep mid-wicket. Just 4 runs were scored in Jofra Archer's over. CSK are 68/4 after 12 overs. They need 84 more runs to win from 48 balls at 10.50 runs per over. CSK are 64/4. They need 88 more runs to win from 54 balls. Rayudu hits the ball straight down the ground. He finishes the over with a boundary as 14 runs were scored in Parag's over. Dhoni hits a flat six at deep mid-wicket. This was his 2nd maximum of the match.